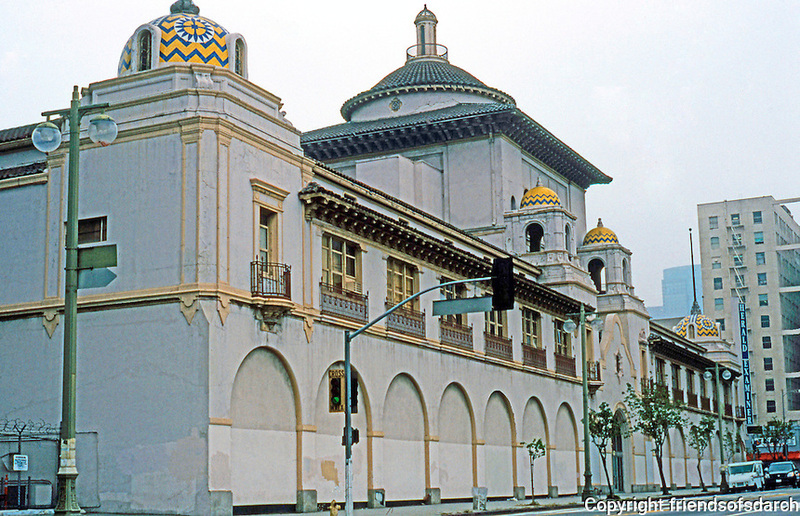 Mission Revival: Los Angeles Herald-Examiner Building, 1111 S. Broadway, 1912. Julia Morgan-Architect. Under the arches theme were windows displaying the great presses at work. The tiled domes resemble that at the Santa Fe Depot in San Diego.